HTC Sense UI coming to Magic and G1? 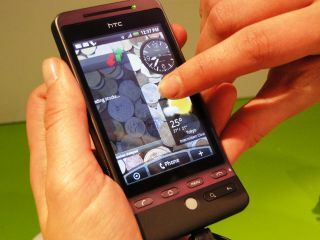 The HTC Sense UI coming to the Magic? HTC has confirmed the company will be porting the HTC Sense UI, which provides improved functionality to Android phones, to legacy models. Although Peter Chou, CEO of HTC, declined to say which models were going to get the option of upgrade, the confirmation means it will either be the HTC Magic or G1. "HTC sense will be available on some other existing devices," he told Pocket-Lint. Although there isn't a time scale for the change, it would bring additional functionality, such as customising your own home screens with pre-defined widgets, to legacy handsets. Such a move would be strange for the likes of the HTC Magic, as essentially it's a very similar phone to the Hero, apart from having a smoother chassis and only a 3.2MP camera. It would be a similar thing seen at the recent iPhone 3GS launch, where the iPhone 3.0 software was available for both the new and old versions of the phone, meaning the hardware upgrade became less appealing. But at least HTC doesn't have to worry about breaking contracts to get the latest model, as the Hero is available on Orange and T-Mobile, with Vodafone nabbing the Magic.